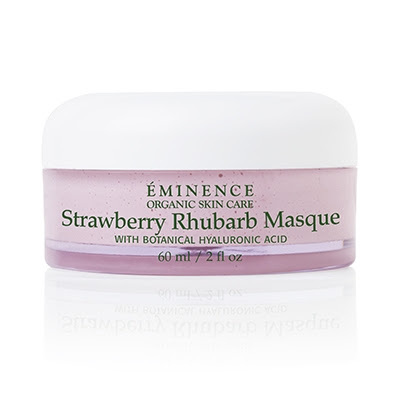 Our featured product this month is the Strawberry Rhubarb Masque. We have just started to carry this product in our spa to compliment the other Strawberry Rhubarb products that we carry. The Strawberry Rhubarb Masque uses strawberries to gently exfoliate while the rhubarb plumps and refreshes. This masque is a vegan friendly product. This product is very easy to use. Just add a small amount of the masque to your hand with a few drops of water and apply evenly to your entire face. Allow the masque to dry for about 5-10 minutes then gently scrub off. Next rinse with water. That is all it takes to have skin that is plump, hydrates and left noticeably smoother. Stop into any of our locations to pick up this wonderful product.